Perfect for the workplace setting, our chair massage services are sure to be an office favorite. 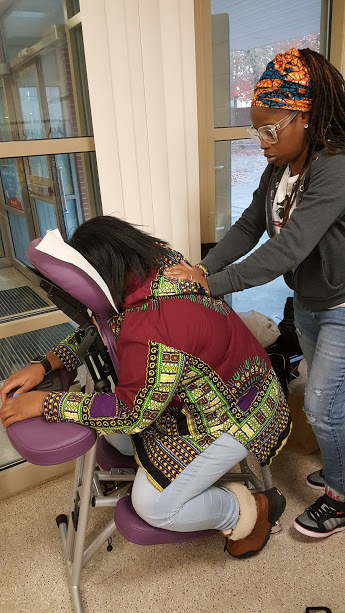 Aside from decreasing stress levels and leaving employees feeling relaxed and rejuvenated, our chair massages are guaranteed to improve productivity and morale. Chair Massages can take place in an empty office or conference room. Massage therapist will also provide relaxing music and aromatherapy to enhance the renewing effect of the massage. Massage is not only a wonderful employee benefit proven to extend longevity, employee happiness, and health, but it is an ongoing strategy to build better business and boost the bottom line. 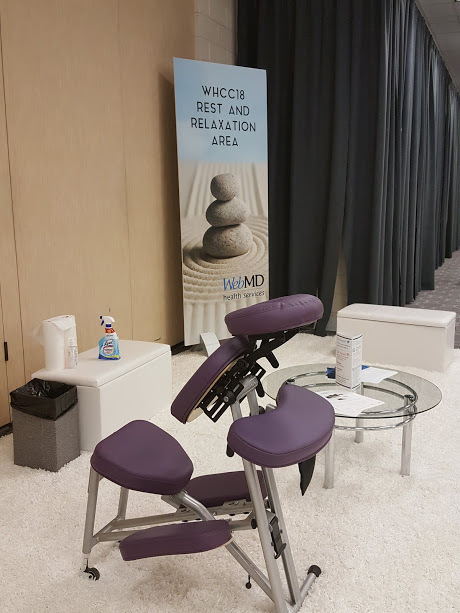 Chair massage is a terrific way to promote stress management and a way to keep employees happy, healthy and productive. Special event, weekly, bi-weekly, or monthly chair massage can be arranged at your office. Price Match. We will match any written quote from a legitimate massage therapy company. Just give us a call.